Chris Difford and Glenn Tilbrook have been awarded the MOJO Classic Songwriter Award presented by Robyn Hitchcock. 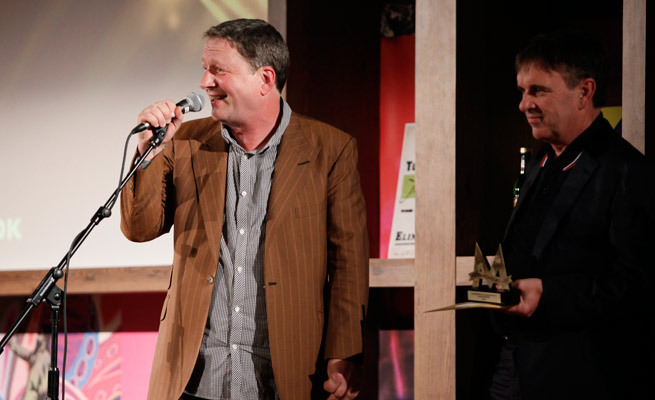 9 Responses to "Difford and Tilbrook win MOJO Award"
This is great news and well-deserved! 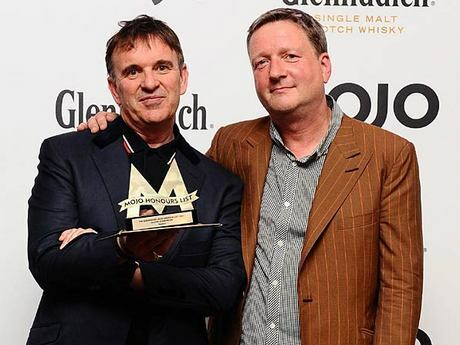 Wonderful to see SQUEEZE recognized in this fashion. I dont think Chris and Glenn realise just how much their songs have been so relevant to parts of our lives as we have all grown older. Ive been and done the whole “Mussels from a shell” scene (especially in Camber Sands) and Ive been well and trully “Up The Junction” and if I may quote one of Chris’s own. “Pasion killer” kind of sums it up these days. Brilliant news guys. Next up should be a MOBO. Music Of Blackheath Origin. This is great news, congratulations Chris and Glenn!! So glad to see you receiving the recognition you so deserve! This is great, now let’s see them nominated next year for best album!